VRS P.C. offers a paperless process which provides a high level of security and accessibility for our clients. The VRS Secure Portal is used to exchange confidential information in a secure setting, gives our clients access to more information easily and provides our clients with a direct link to the services VRS is providing. The use of the VRS Secure Portal provides unmatched levels of efficiency. 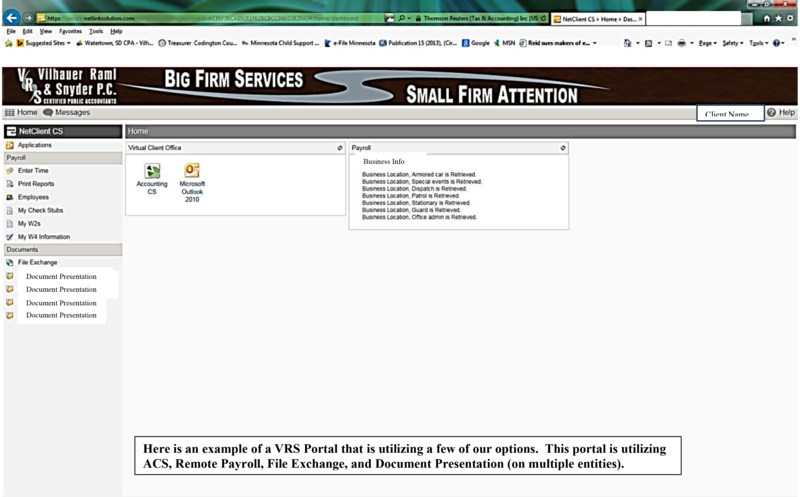 Here is an example of a VRS Secure Portal that is utilizing a few of our options. This portal is utilizing ACS, Remote Payroll, File Exchange and Document Presentation (on mulitple entities). Document presentation is the folder where we place documents for an indefinite period of time. You would have access to them at any time for as long as you want them in the folder. This folder is where you would find copies of tax returns and financial statements. File Exchange is a tool that allows us to transfer documents between each other easily. This area gives our clients folder options to specify which department you are needing to send a document to. Some documents you would find in this folder would be client checklists and news updates. Why do I want to have a VRS Secure Portal? Portals are USER specific. Each client registers with a unique login and password of his/her choosing. We are able to link multiple entities and personal income tax folders to a single portal according to individual needs and preferences. If additional staff (bookkeepers, employees, owners, etc.) also need access to certain pieces of information or full business access, they will also be set up with a separate login. Each login has the capability of seeing as few, or as many, documents based upon set up per specific client instruction. These portals can also be linked for viewing access to paystubs (if applicable). Worried about hackers? VRS Secure Portal gives security and piece of mind to our clients and our firm that documents are not being compromised in the sending process. Worried about loss of important information? 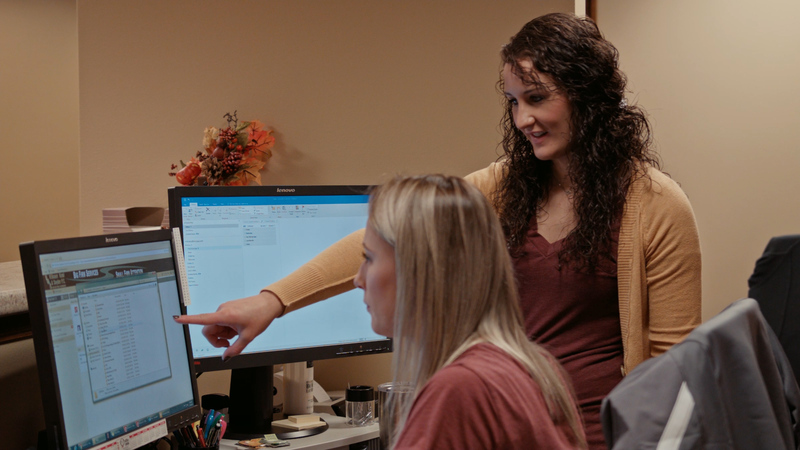 VRS Secure Portal provides clients with access to important tax return/payroll/data processing information for an extended period of time through our Document Presentation option, and gives the option to access them as needed. No need to worry about losing the most important file amongst other paperwork in your home, it’s all in the cloud.